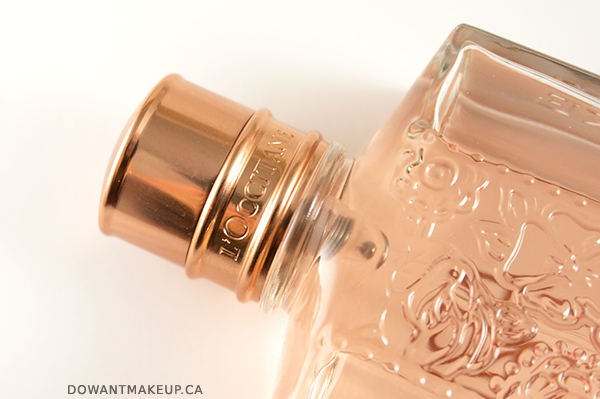 Before I get into the scent itself, let's all take a moment to sigh and admire the bottle. Elegant and simple rectangle in weighty glass. 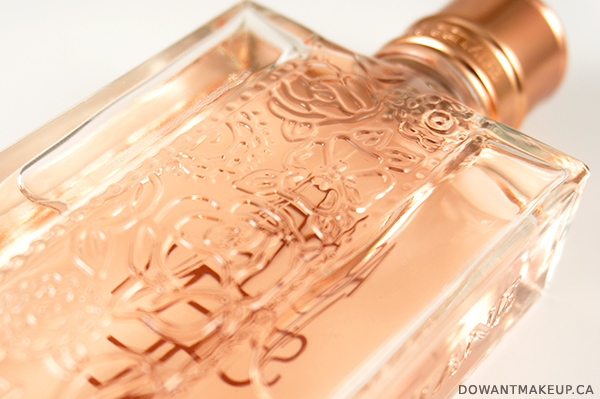 Beautiful raised floral pattern on the back of the bottle, with the cap and lettering on the front in rose gold. I always keep my fragrances in a drawer away from light and heat, but this is a bottle I would love to have on display on my vanity. Arlésienne has top notes of mandarin orange and saffron, middle notes of rose and lily of the valley, and base notes of violet, sandalwood, and tonka bean. 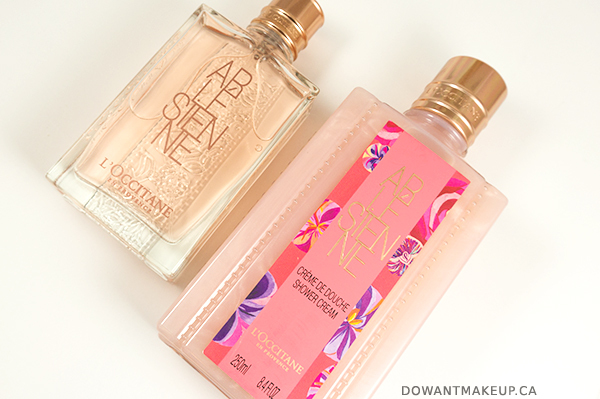 L'Occitane's promotional materials emphasize the rose, violet, and saffron notes. When I first smelled this on a paper strip, I couldn't stop sniffing it. It opens up very fresh, but a soft spiciness quickly comes through from what I assume is the saffron. There is a floral, slightly powdery scent as well, but with my inexperienced nose, I wouldn't have been able to pick out the rose and violet in this. There's also a pleasant, winter-weather-appropriate warmth from (I think) the tonka bean. Personally, I liked it better on the tester strip than on me. 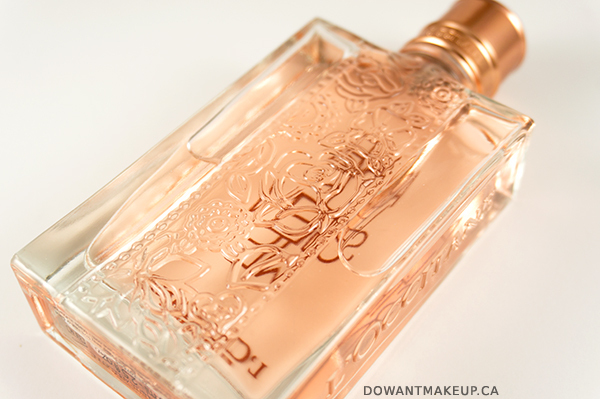 When sprayed on the skin, I was disappointed to find that it almost completely skips over the brief burst of freshness and the floral, moving very quickly into the warm, slightly spicy scent. After about 4 hours, only a faint warm scent lingered. I do have dry skin which I hear can affect the longevity of a fragrance, so you will probably get more lasting power spraying on clothes or if your skin isn't dry like mine. 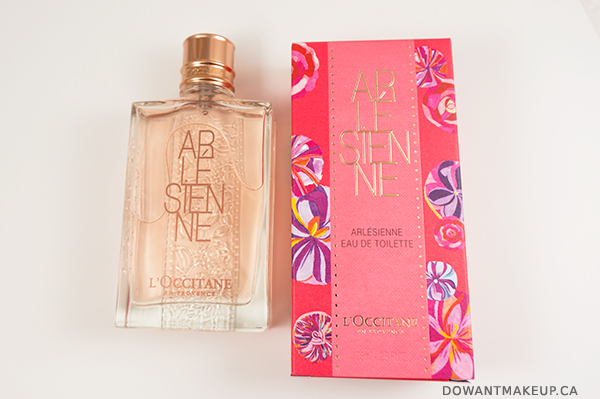 What I've always liked about L'Occitane fragrances is that they feel modern and elegant to me, and Arlésienne is no exception. Although I lean very heavily towards citrus and fresh florals and generally dislike spicy or woody scents, even I can appreciate this one. 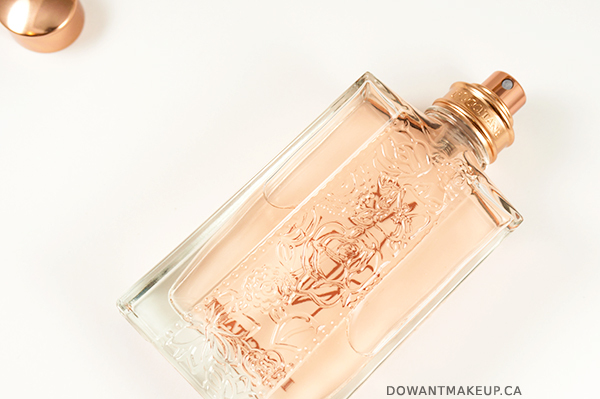 People who like romantic, feminine florals with some warmth will probably love this one. This would also be a great pick for someone that is used to wearing florals and wants to expand their fragrance horizons a little: it's beginner-level spicy/woody. The SAs at L'Occitane are always super nice, so don't be shy to ask for a sample vial to test before you buy. 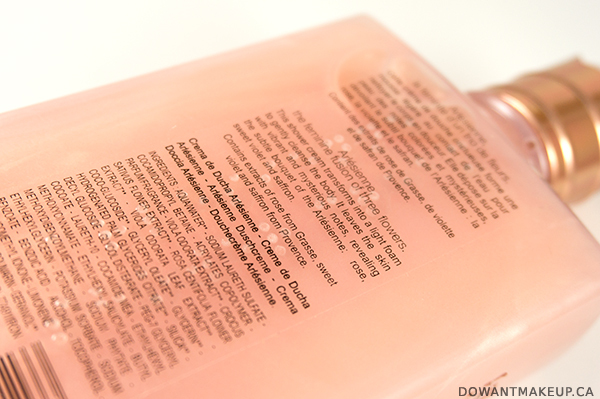 Fun fact: many L'Occitane products include Braille on the packaging. It's quite rare for cosmetics companies to do this as it adds to the cost of production, but it's always cool to see brands thinking about accessibility.